Check FAQ Have a Question? We are committed to protecting your privacy & shopping security, visit it to learn more. How to Buy Glasses Online? 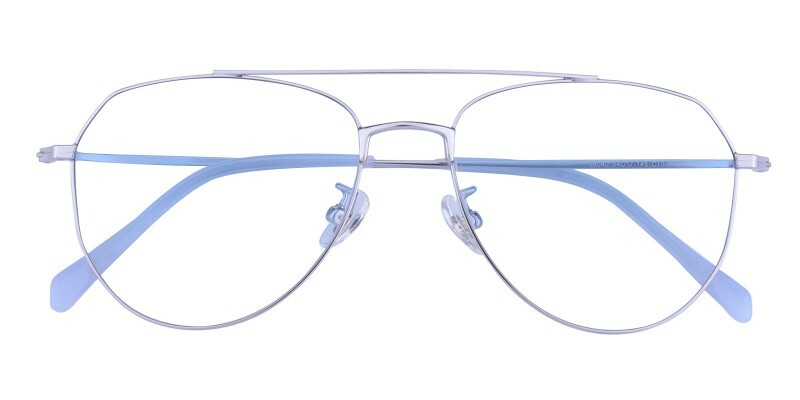 Good Housekeeping magazine rates GlassesShop.com Best Eyewear Website for Budget Buys. All GlassesShop frames weight displayed are without lenses and filler exclude non-prescription plano sunglasses frames. Lightweight: Frame Weight is under 10g. 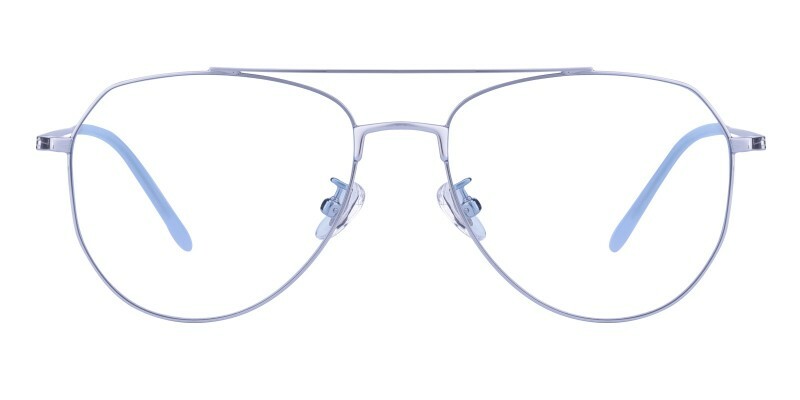 Robben Aviator eyeglasses are made of lightweight and anti-allergy pure Titanium material, four color options: black, silver and golden, only 9g, featured with adjustable nose pads and slender anti-allergy pure Titanium temple arms, great choice for men or women at home or in office, computer eyeglasses and reading eyeglasses are available. The quality and price all over my thinking. 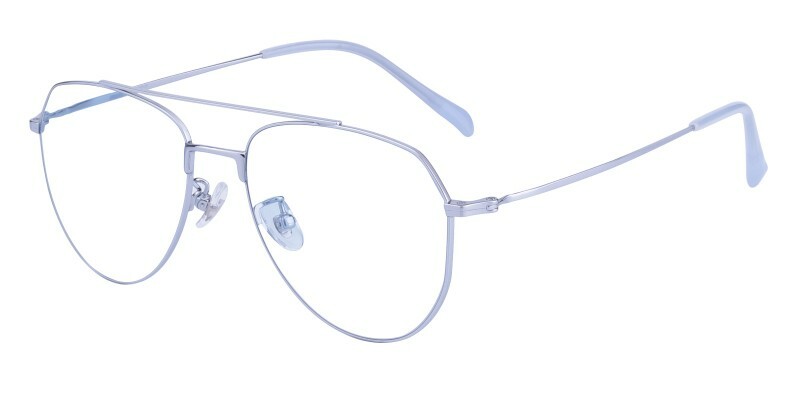 Lightweight and high quality glasses, will order again! This is the horizontal width (in millimeters) of each lens. This is the distance (in millimeters) between your two lenses. This is the length (in millimeters) from each screw to its temple tip. 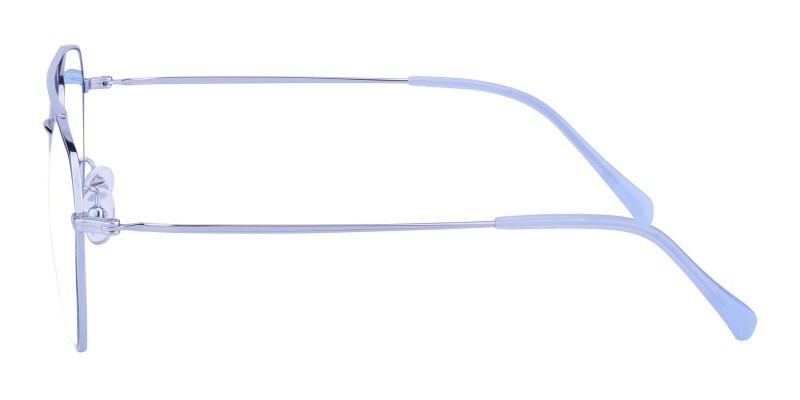 GlassesShop offers 3 different frame sizes (S, M, L). So choosing the right one is key to making sure your new glasses correctly fit your face. We suggest you measure your frame dimensions to ensure you've got the best fit for your face. *9 Frames Starting at $6.95. Updated every 2 weeks. *Free 1.50 sv lenses included. *Maximum 6 items per order. *Only available while stocks last. *You must select at least two frames. *'FREE' – Applies to the cheaper frame with 1.50 SV Lenses. *Maximum 6 frames per order. *Sale items not eligible for this offer. *Only one free pair of glasses per customer and prescription. *Shipping and handling fees apply. © Copyright 2004-2019 GlassesShop.com. All Right Reserved.